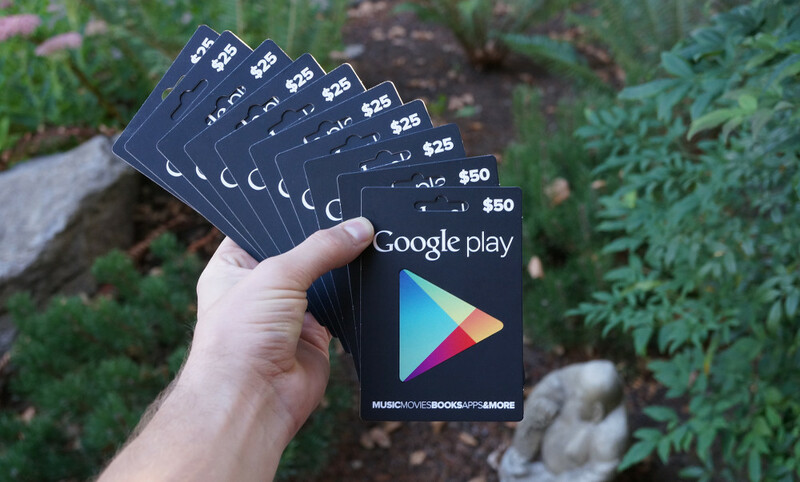 Contest: $300 in Google Play Gift Cards Up for Grabs, 10 Winners, 24 Hours! If you follow us on Twitter (you are following us, right? ), then you likely saw our teases over the weekend for two upcoming contests. Well, we didn’t exactly tease – we more or less told you exactly what to expect. Today, we are giving away a OnePlus One and a whole bunch of Google Play gift cards in separate contests. As you can tell by the image above and the title, this is the Google Play gift card contest, with a total prize value at $300. That’s right, because we love you, we are handing out $300 in gift cards to 10 DL readers (two $50 cards, eight $25 cards). We are giving these away, like always, because you have given us the opportunity to. That’s how we do things around here. We just want to thank you for the support as we head into one of the busiest weeks of the year. The contest is as simple as ever and is powered by Rafflecopter, since it makes entering and choosing winners a breeze. You can enter one way or multiple ways, but the more items you complete in the widget below, the better your odds are of winning. We will choose our 10 winners tomorrow morning. Get to it! Prizes: Ten (10) Google Play gift cards up for grabs for 10 winners. Two (2) are worth $50, the other eight (8) are worth $25. We will choose our winners at random tomorrow, September 3, at 8AM Pacific.